Nobody genuinely enjoys wearing a backpack while riding. I don’t know about you, but I’ll skip riding with one whenever possible. For many riders though, a backpack is a necessary solution for carrying water and spares – particularly if the bike you’re riding isn’t equipped with sufficient water bottle storage. 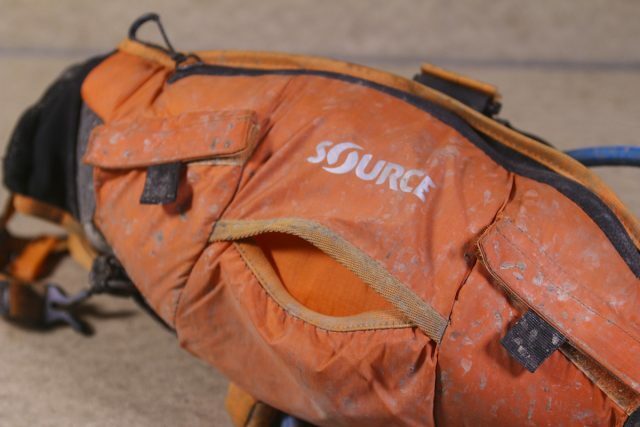 The Source Hipster takes the bumbag style, but optimises it for mountain biking. 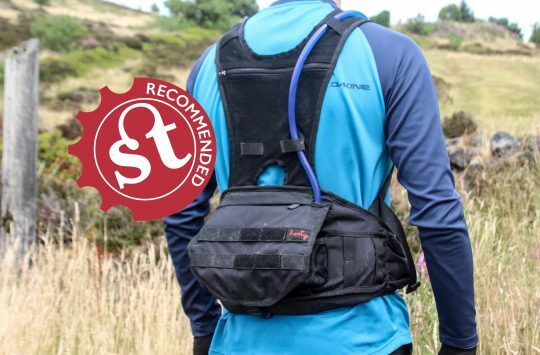 To address this quandary, there has been a recent explosion of alternative methods for porting riding essentials, including stealthy bib shorts and jerseys with hidden pockets and such (for some inspiration, checkout this guide for 13 ways to carry water for riding). 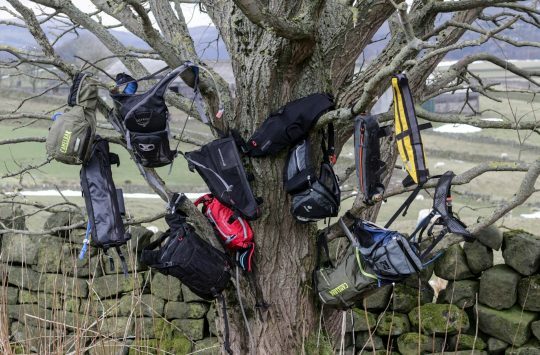 In the ongoing war against the backpack, we’ve also borne witness to the rise of the bumbag hydration pack. Sometimes known as a ‘fanny pack’, these new-school bumbags rely on a single strap to keep the bag secured to your waist, while your back remains uncovered, unrestrained, and free to ventilate. 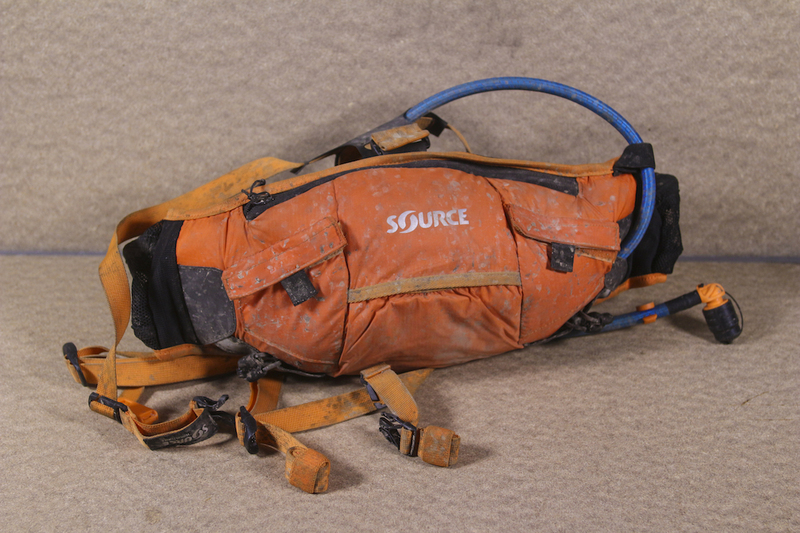 We’ve tested numerous bumbags in the past, including those from CamelBak, Dakine, Mavic and EVOC. While they all have their own unique design features, the common flaw between all of them is the limited weight they can hold. Load them up with water, and you’ll feel the waist strap start to dig in to your tummy as the pack sags down towards the ground. 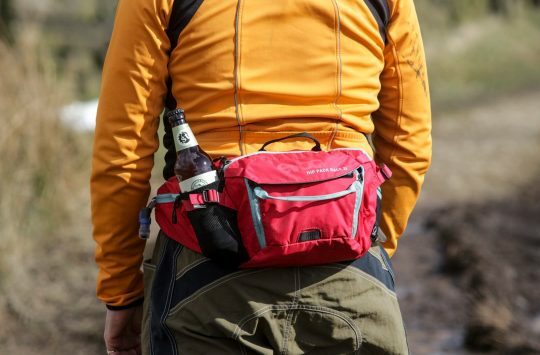 Get onto a pedally section of trail, and the bumbag will start bouncing around like a fart in a mitten. With a lightweight set of braces, the Hipster is easily the most comfortable, and most stable waist pack I’ve used. 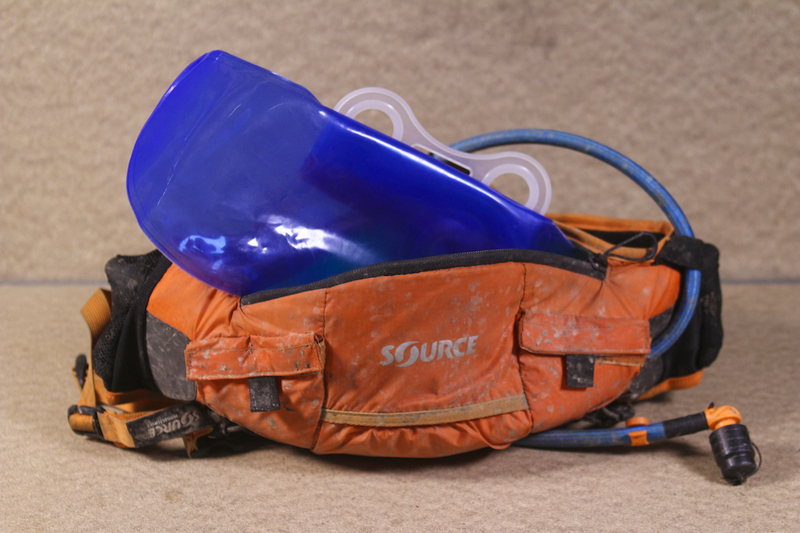 Introduced late last year, the Hipster from Source Hydration aims to address floppy bumbag syndrome by way of a simple, but very clever set of braces. Fundamentally, the Hipster is a bumbag and not a backpack. 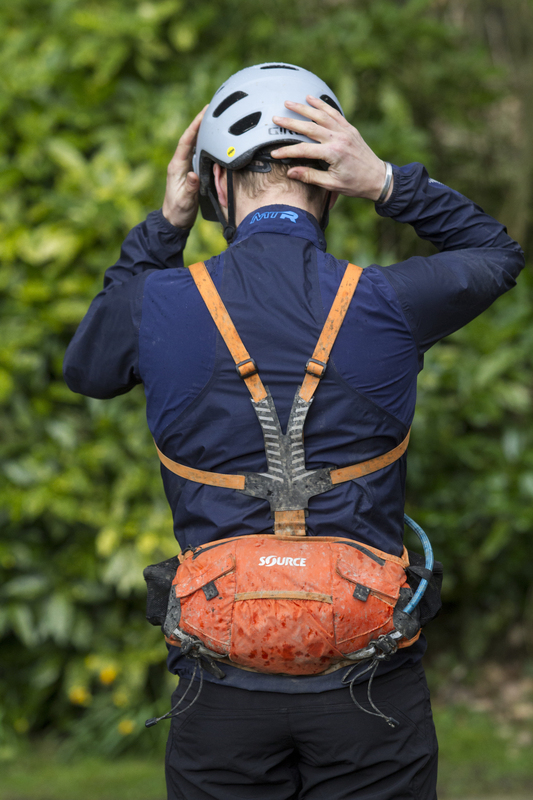 Remove the harness, and you’ve essentially got a small-volume bumbag that’s constructed from lightweight fabric with a soft padded backing. The large profile waist belt uses a buckle that’s offset to one side so that it’s less likely to cause discomfort while you’re in a leant-over riding position. Inside is a 1.5L water reservoir, and several storage pockets for carrying spares and riding snacks. The Hipster isn’t huge on storage space, but I’ve found that just forces me to pack smarter and lighter. Developed for mountain biking and running use, the addition of the harness helps to stabilise the Hipster’s load while bouncing around on the trail. The harness uses adjustable straps and a single sternum buckle to keep it in place, and while it looks like the thin straps could dig in to your shoulders, the harness doesn’t actually bear that much weight, so it’s quite unnoticeable. Even with the 1.5L reservoir filled to the hilt, the Hipster stays incredibly stable while riding. 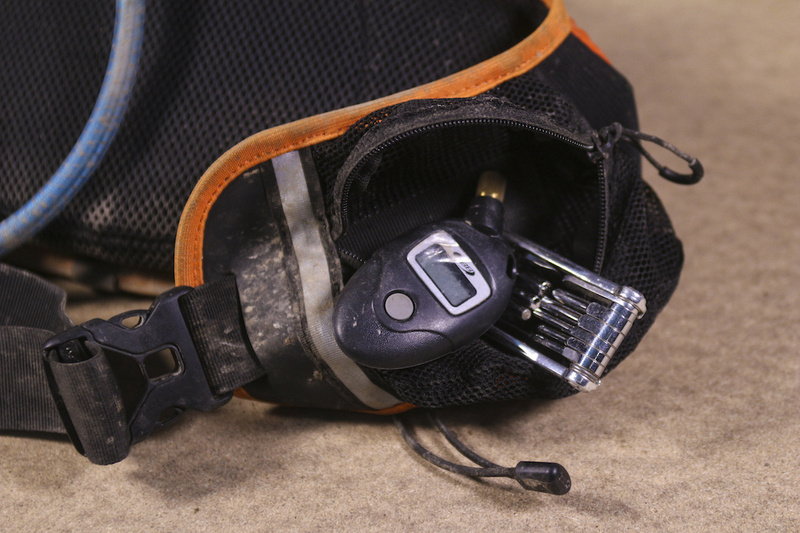 Small pockets on the rear of the pack are useful for spares and extra bits of food. The flexible pack is super comfortable to wear, and there’s no need to reef up on the waist belt just to get it to stay put. Even riding on rollercoaster-type trails with doubles and booters, the pack stays reassuringly snug against your waist, with no flop and no sloshing about. The best aspect of the Hipster is that it achieves this stability without restricting your freedom of movement. And on warmer days in the saddle, the extra breathability over a traditional backpack is wonderful. Source claims that you can also use the Hipster without the harness, though in my experience, I found it bounced around more than I would have liked. Following a brief test, I promptly reinstalled the harness and never looked back. The bladder will take up to 1.5 litres of your choice of liquid, and its slide-mouth closure is both easy for refilling and cleaning. The bladder itself is easy enough to use, with a slide closure system that offers wide-mouth access for filling and cleaning. However, the wings of the bladder don’t seem to tuck that well into the designated sleeve, and it needs a bit of prodding to stuff it all in. 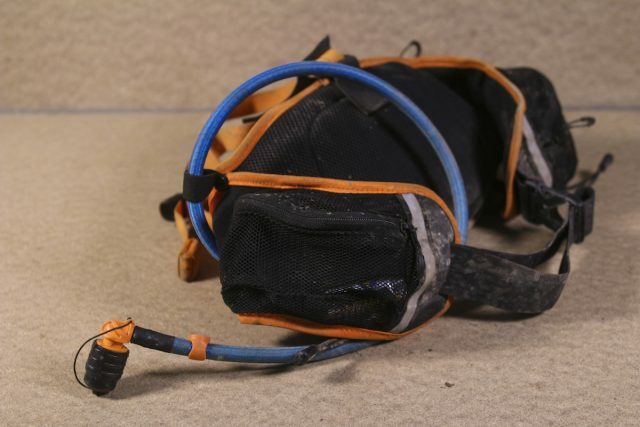 I really dig the magnetic hose attachment though, as it’s powerful enough that you don’t need a whole lot of precision to reattach it while concentrating on the trail ahead. 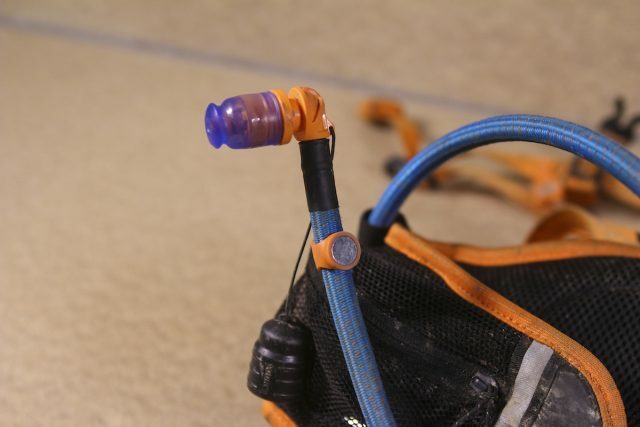 Little dirt shield for the bite valve. There’s a magnetic attachment just below the bite valve, and that corresponds to a magnetic clasp on the braces. One thing to note is that the Hipster is light on storage space, though Source has deliberately designed it this way so that you simply can’t load it up with lots of heavy crap. I actually like this, as it forces the rider to pack smarter and lighter. The mesh side pockets are excellent. They have heaps of space, and put the storage around the front of your hips for easy access without having to pull the whole pack off your back. For longer rides where I want to take an extra jacket, some pork pies, a camera and a few more spares, I’ll take a bigger backpack anyway. But for 90% of my rides where I only require a mini-pump, a spare tube, some basic tools and snacks, plus my phone, wallet and keys, this little guy is the ideal size. There’s room for an inner tube, multi-tool and some snacks in each one of the waist pockets. For testing bikes, having a multi-tool and pressure gauge handy is ideal for me. Speaking of storage, among my favourite features of the Hipster are the two large zippered mesh pockets that wrap around the hips to sit on the front of your waist. Ideal for stowing mini pork pies and small tools, these pockets provide convenient access to essentials without having to pull the whole bag off. You can wear the Hipster without braces, but for me, it’s so comfortable to wear with the braces that it’s a no-brainer. 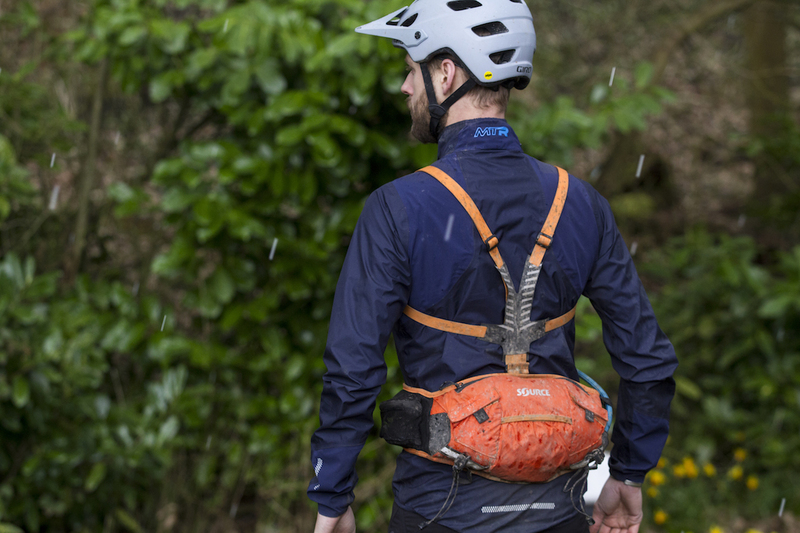 A highly comfortable bumbag that is impressively stable on rough and choppy singletrack. The Hipster isn’t massive on storage space, but it allows you to carry plenty of water with the necessary essentials all within easy reach. With more freedom of movement than a backpack, and less flop than a bumbag, the Hipster is a winner. No test of any Wingnut gear? I’ve got the Hipster & the straps dig in if you’re wearing only a jersey, it’s bit a very comfortable pack at all in that particular scenario. 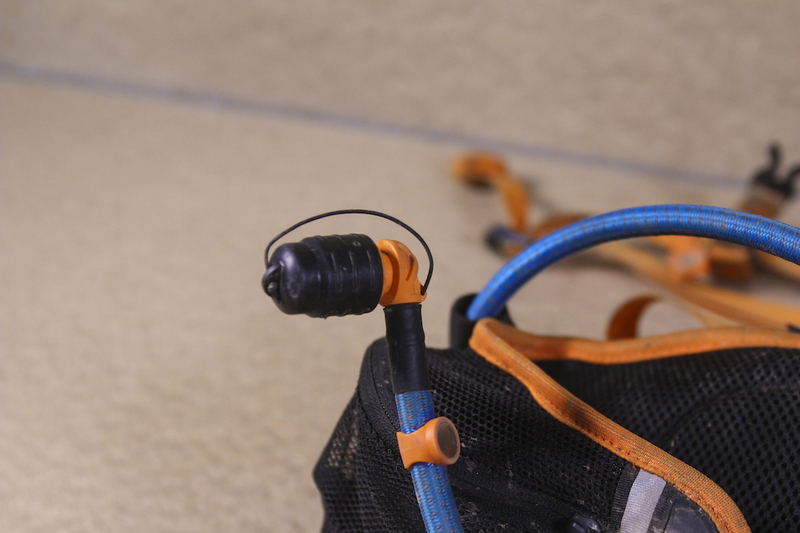 The Wingnut, however, is far more comfy – sits on & around the hips & waist with a far better webbing. 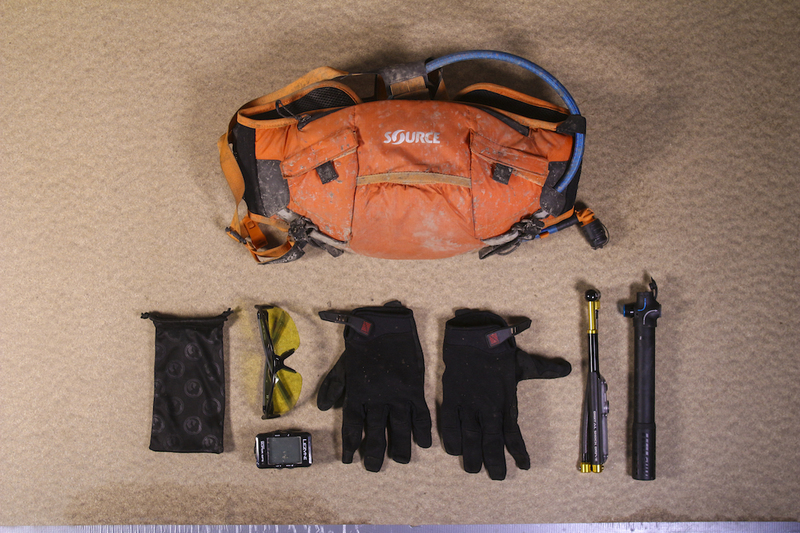 @mrlebowski – I’ve never had a Wingnut pack to test, so I can’t compare I’m afraid. They look great though! I have a Camelback Ultra LR as a minimal pack. Water in a waist bladder and slightly more storage opportunities than the Hipster. The main thing is to decide if you really need everything you pack.